Global Wellness Group (GWG) owns and manages multiple established beauty and wellness brands in Singapore and other neighbouring countries. 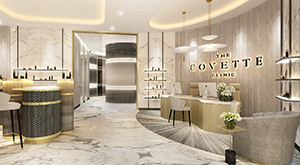 The brands include Body Contour Premier, Passage New York, Beyond Beauty International, Murad, FIL, Physiomed, TrichoMed, The Covette Clinic and WOne Clinic. A leader in the industry, we are almost unparalleled in terms of sales revenue and capacity, projecting a double-digit growth year-on-year. Our business model is based on numerous business segments generating multiple income streams. This strategy of developing and managing complementary product offerings enables us to enjoy important synergistic effects and significant economies of scale, translating to high quality products and treatments, priced competitively for the benefit of our customers. 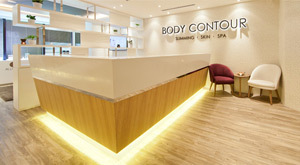 Incepted in 1997, Body Contour Premier has become one of the most recognized names in Singapore with 4 premium outlets. One of the largest slimming and wellness providers in the country, we offer a comprehensive range of services which include slimming and weight-loss therapies, facial treatments, therapeutic massages and revitalising spa sessions. 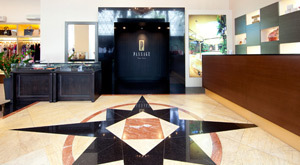 Passage New York was established in 2000 to cater to the cosmopolitan women who want only the finer things in life. Centrally located in the heart of the city, it is one of the most luxurious ladies-only spas in Singapore, with a reputation for providing the best in women’s lifestyle needs. FIL is a professional skincare and premium spa brand, well recognized in providing a holistic approach towards beauty and health, enabling individuals to enjoy a fuller and more rewarding life. We have 5 centres located mainly in the CBD and high end shopping enclaves at Orchard Road. We also have an academy at Far East Finance Building to nurture prospective students for professional advancement into the beauty industry. Beyond Beauty International is a forward-looking company with a holistic approach towards health & beauty, offering total face and body care, complete with slimming and spa services. As one of the most progressive companies, our services are a unique blend of the latest technology and the skilful human touch. All this, coupled with the best value, is customised to complement the individual lifestyles of our customers–the modern man and woman. More than a clinic, The Covette Clinic is a global advisory board, a collective of medical luminaries with decades of knowledge who inspire best practices across the world. The philosophy is not to follow trends but lead them and hold the forefront position in medical aesthetics excellence. Wanting to offer a holistic array of beauty treatments for our customers, we establish WOne Clinic in 2005 to meet their growing needs. The clinic specialises in providing the latest non-invasive and minimally-invasive cosmetic procedures for the face and body. 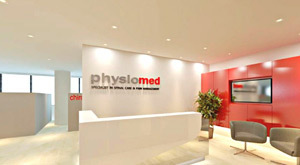 Physiomed, our health and wellness arm, is a premier holistic health treatment provider which offers health-care solutions based on Chiropractic Practices and Physical Therapy. Our comprehensive series of Care Programmes are administered by a dedicated and professional Chiropractic team, helping patients reach their optimal health. 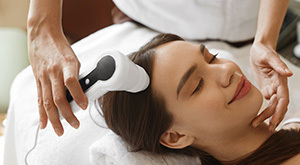 TrichoMed, formerly known as Hair Inc. New York, is a revolutionary hair and scalp care centre that effectively treats all hair and scalp conditions with the latest trichology technology. A leading hair and scalp care centre, we ensure our clients receive optimal satisfaction with our finest hair products and treatments. GWG is part of the billon-dollar Mayar Group, one of India’s biggest multi-national and widely diversified conglomerates, with business interests in resorts, timber, paper, sugar mills, international trading, hospitality, biotech, shipping and infrastructure; spread across Asia & Europe. With such strong financial backing from The Mayar Group and the ability to learn from the best practices of our sister companies, GWG is poised to grow and break new frontiers.